This is a really quick, concise book about how women healers have been demoted over and over again. It’s baffling because it’s like… soooooo you [people in power in the middle ages demonizing natural methods of healing] just wanna die? And you want everyone else to die too? Further proof (if you needed it) that men are trash and always have been–literally dumb as hell. 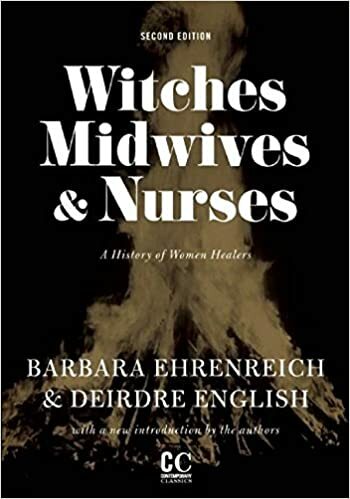 Anyway, I requested this book because I’m working on a paper proposal about witches, as it pertains to new motherhood and reproductive bodies. I was especially interested in the professionalizing of the medical field and the logic (or not) of the middle ages. This sounds fantastic and it is such a timely book! Yup very relevant, especially in terms of reproductive rights.